We’d love your help. Let us know what’s wrong with this preview of The Scene Book by Sandra Scofield. 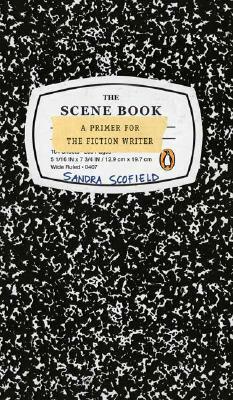 The Scene Book is a fundamental guide to crafting more effective scenes in fiction. In clear, simple language, Sandra Scofield shows both the beginner and the seasoned writer how to build better scenes, the underpinning of any good narrative. To ask other readers questions about The Scene Book, please sign up. This was my craft book pick for my second term at the Seton Hill Writing Popular Fiction master's program. One of the things I often struggle with in my fiction, especially in long fiction, is the meandering scene. Sometimes things just draaaag in my writing. I've come to realize that part of that is sometimes a lack of focus in my scenes. They're just *there*. I'm somewhat of an organic writer. I don't tend to plot much and while I do have an idea of where things are going, and several scenes in This was my craft book pick for my second term at the Seton Hill Writing Popular Fiction master's program. I'm somewhat of an organic writer. I don't tend to plot much and while I do have an idea of where things are going, and several scenes in my head that I would like to hit, it can change without notice. So the idea of sitting down and planning scenes kind of scares me. But I chose this book to get an idea of what a scene should have in it. And thank goodness, it's not about sitting down and plotting out your scenes a head of time. Sure, there are things you should think about when sitting down to write a scene, but it gives more tips about how to fix scenes (or just get rid of them) once you've written them. It'll come in handy when I sit down to revise my thesis. And it did improve my writing already. I ended up going back over a scene that felt flat in the pages I'm working on this month and make it serve the story. Scenes are those passages in narrative when we slow down and focus on an event in the story so that we are "in the moment" with the characters in action. Scenes are blocks of action that serve the telling of the story. This is one thing that I have to remember--every part of the story should be there to serve the story. Sometimes I end up with scenes that flesh out a character--for me as the author--but does the story no good. Those are the scenes that need to be ripped out or summarized. Yes, the first element there is two things. It's because they're intertwined. In a scene your characters act on and react to events. Characters do and feel. And there should be a reason behind what the characters are doing/feeling that furthers the story (that's element two). Scenes have structure: beginnings, middles, and ends. In a way, they are little stories themselves, though connected to a much larger piece. Now, the fourth element, I had heard bantered about, but never understood. Scenes have pulses. What's a pulse? It's a bit more fuzzy than the other elements. It's what makes the story stand out on the page, the heartbeat that keeps it moving forward. It's the tension. The book goes into describing each of these elements in detail, provides examples and exercises, as well as questions to ask when it comes to your own work. The most useful section I found was the section on beats. That's another writing term I heard a lot, but didn't understand. What the heck is a beat? It turns out that a beat is a little piece of action and reaction in a scene. All the beats add up to the event of the scene. It's the physical actions of the character that drives the event forward. It's a slightly different way at looking at conflict--that of a process of change and resolution. 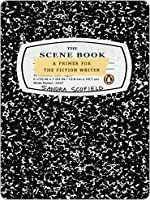 Ms Scofield also has a section of the book devoted to reading for technique, that is, studying other writer's scenes, as well as studying your own scenes with an eye to improve them. She condenses the tips in the book down to a few pages of questions to ask as you look at your own writing. This is a goldmine of revision-fodder. I'll certainly be using her tips and questions on one of my revision passes. It's all good stuff, but if I try to implement it while writing, my writing will grind to a halt. The trick to using much of the knowledge in craft books is to know when to use it. I'm more aware of needing to have a purpose for my scenes, and more aware of the need for tension, as well as weaving in beats of action, but I'm also trying to balance that awareness with just getting the story out. Bones first, then I can flesh the rest out. Certainly, the Scene Book is one craft book I'll be picking up again, and applying to my work once I'm at the stage where it would make the most sense to do so. In the mean time, I'll take what I've learned by osmosis, and it'll come out in the writing I do now. This book is okay, but I only got a few good tips out of it. As with any writing guide, YMMV depending on what you want to focus on and your level of experience. This book is about scenes, as you can tell from the title, and while the author uses a lot of examples from novels (waaay too many from her own novels, which, judging the examples, seem insufferably dull), I think this book is of the best use to a short story writer. The back of the book is really all you need to read: Every scene has a This book is okay, but I only got a few good tips out of it. As with any writing guide, YMMV depending on what you want to focus on and your level of experience. This book is about scenes, as you can tell from the title, and while the author uses a lot of examples from novels (waaay too many from her own novels, which, judging the examples, seem insufferably dull), I think this book is of the best use to a short story writer. The back of the book is really all you need to read: Every scene has an EVENT. every scene has a FUNCTION in the narrative. Every scene has a STRUCTURE: a beginning, middle, and end. Every scene has a PULSE. If you want to learn more about these ALL CAPS terms in depth, check out this book. If you want to be a writer, you need to master the art of writing the scene. Scenes form the basic building blocks of any story and this book explores them in great detail. Writers need to think in scenes. There is a difference between narrative summary and a scene. Narrative summary is a way to quickly cover a lot of ground in a story, without getting bogged down in the details. Narrative summary is a great technique to use between scenes, but some writers don't seem to understand the difference between them. A scene is ACTION. Every scenes contain a clear goal, actions, emotions, a pulse, tension (conflict), a focal point and a revelation, which will lead into the next scene. The Scene Book breaks down every scene into its essential elements. Then it shows how to get to the heart of the scene and this will allow you to put meaning into everything you write. The book also shows you how to handle scene openings and the first lines of your book. The book shows how to handle multiple characters within a scene without fragmenting the story, and how to create big scenes. This book is essential reading for every writer. Another great book on scenes is, "Make a Scene" by Jordan Rosenfeld." I've always considered good writing an art, something that can't really be taught or learned. This book showed me how wrong that idea was. Talent is important to good writing, but so is form and technique. Scofield teaches how pulse, events, beats, point of view, scenarios, and several other tools add up to create a story that really works. She also gives some really good tips for revising your own writing. I would recommend this book to anyone who is seriously considering writing a novel. Although there is some very helpful information here in a structural, editorial way, the fact that she doesn't ever stop mentioning her own work, or quoting from it, or using it as a good example, made me never want to read her again. Ever get that writing book that you wish you would've had before you started the project you're currently working on? This is that book. I don't really like this, this was a textbook that I used for my short story class. Scofield uses way too much of her own writing to explain her points and explains points that most people already understand in a way that is confusing a best and at worst downright stupid. I really disliked this and think that you could find a much better book on writing craft than this one. I found it difficult to read. I need clear, concise points and examples and this really didn't provide that. The examples were overly long, making it difficult to tie them back to the points being made. There is definitely some helpful advice buried in here, but it was just too much work for me to find. This is the best instructional book on writing I have ever read. I highly recommend this to other beginner writers of fiction or memoir. I underlined liberally and will go back to these pages frequently. Sandra Scofield is a great teacher. Had feedback that my CNF needs to be more scenic. This book is enormously helpful. Scofield's approach to fiction writing is very accessible. She includes multiple examples from various texts to illustrate the different principles she discusses in this book, which I enjoyed because there were so many different styles of writing included. I read the book for a class I'm currently enrolled in called "Fiction Fundamentals." I think the title of my class is actually a good way to describe this book--it is full of the fundamentals of fiction. Scofield covers all the basics of ficti Scofield's approach to fiction writing is very accessible. She includes multiple examples from various texts to illustrate the different principles she discusses in this book, which I enjoyed because there were so many different styles of writing included. I read the book for a class I'm currently enrolled in called "Fiction Fundamentals." I think the title of my class is actually a good way to describe this book--it is full of the fundamentals of fiction. Scofield covers all the basics of fiction writing in this book, so if you're new to fiction writing or aren't really sure how to tighten up your prose, this is a great starting point. I found this book on a reading list for a college writing course, and I must say it is one of the very few craft books I've seen that I would recommend to any writer. Though it is definitely fit for a college level writing course, it thankfully doesn't drone on about theory. Instead Scofield takes a more hands on approach with helpful exercises, questions to ask, and sample scenes. This really did manage to demystify the process and gave me a greater sense of control in my work - and thus delive I found this book on a reading list for a college writing course, and I must say it is one of the very few craft books I've seen that I would recommend to any writer. This book was recommended to me by a colleague. I was lost on scene writing skills and this book has given me a few important elements to consider when writing scenes. I haven't read any other book on scene writing so I can't compare. I found myself skipping over a lot of material in this book, perhaps it is the writing style that didn't work for me. None-the-less, I am more equipped with scene writing skills than I was before reading this book. As the title indicates, this is a primer, but I could easily see a beginning writer getting lost in the dense exposition about scenes. Still, this would be a helpful book for someone trying to move from writing exposition to writing scenes. The best part of the book was the section on independent study. That section has a nice roadmap - and templates - for how to read and evaluate scenes. It can be used to study scenes of other writers or as a way to evaluate and revise your own scenes. This was a HUGE help to me! I was having problems with my current novel and either 1) Knew what the problem was but was unsure how to tackle the resolution or 2) Had no idea what the problem was .... clear as MUD ... but knew there was definitely issues. This book identified ways to solve problems and also helped me to identify what the problem was. Definitely will be going on my shelf of reference books where I can rely on when I need it. Very good books on how to write scenes in a book. LOVED IT!!!!!!!!!!!!! All writers should have a copy in print on their desk to use. Just went through it a second time to make a hit list for checking scenes. I have used other books too, but this one gave me a great way to form my thoughts on how to look at scenes from from first crappy draft to the last polished one, which might be dozens! RECOMMENDED. Scofield's book is a must-read for any aspiring writer. Clear, concise, and with plenty of helpful exercises, The Scene Book breaks down the necessary components of a good scene and how to write one. The only missing element is a meaty discussion of the transitions between scenes and how they can affect a book. this book focuses on writing effective scenes by breaking a scene down into its components (action, character response(s), ending). there are examples from other authors (both well-known and obscure) and exercises at the end of each chapter. my only complaint is that the longest examples come from her own work. This book came highly recommended, but somehow it wasn't what I expected. To me, there was much familiar advice and I found the references and examples 'too literary' for my tastes (I'm more commercially oriented I guess). The biggest take away for me was the concept of 'beats' within a scene, this really helped me improve my scene writing. This book was practical and helpful, and I found myself taking notes and jumping into a working on a scene after having read a chapter or an exercise. I didn't think all of the exercises were right on, and some of the example passages got long and wieldy, but overall would say it was a good intro. Not being a seasoned writer, I found this book extremely helpful in developing a writing method. Scofield provides some excellent tips for organizing your thoughts and writing and how to develop the best possible scene. This was a very helpful book. Scofield outlines a lot of really important scene writing techniques. My favorite thing about this book has to be the exercises at the end of every chapter. While I didn't do any as I was reading, I definitely plan on using them when I am struggling! Charming and brief. Everything a 'how to write' book should be. The nuggets of solid advice are happy bonuses. Read for Fiction Fundamentals course. Lots of practical suggestions and good explanations. Many great examples and exercises for improving your writing. Tons of great ideas and gems that will not only improve my writing, but help me teach my students better. Very good way of looking at how to keep a story moving and create tension. Excellent examples drawn from many different eras and styles. A must-read for writers, but I wished she'd used more genre fiction examples than literary fiction. Still, it was worth reading and was pretty meaty. Not as "beginner" as you'd think.